He is a bear not doubt but he is arguably the world’s most loved and revered bear. He has little brains and does a lot of silly things and he can’t have enough of ‘hunny’, yes its got to be Winnie the Pooh. Eighty one years ago to this date, A.A. Milne’s ‘Winnie the Pooh’, was published and from then on we have loved him for numerous reasons. Many generations of kids have grown reading and watching him and his popularity just keeps growing. Yes he is old now but for some reason that’s good. In case he were introduced today as an obese and somewhat clumsy bear then the mean and skinny contemporary cartoon characters that exist today would have not allowed him to shine as brightly as he does. 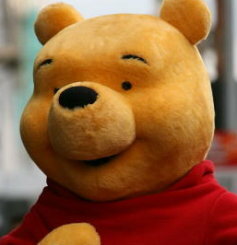 And in spite of the high demanding audience that exist today, the glossy makeover he has donned thanks to Disney plus the conversion to Tao Buddhism he still remains our favorite, most admired and silly old bear who we always remember.